As we have seen in the previous article on HO2, water is essential for life. Dehydration is the cause of many illnesses. In this article we will discover the different health conditions which can result from dehydration and how increasing your water intake can prevent a host of conditions and serious illnesses. Here are twenty reasons for drinking more water and preventing dehydration as a method of increasing your health and looking and feeling well and aging well. The more water you drink, the more fluids leave the blood vessel, causing your vessels to relax and your blood pressure to reduce. If you consume too much salt or do not drink enough, water accumulates in your blood vessels, contributing to blood pressure. If the pressure is too high, the blood vessel will burst and can lead to stroke and kidney disease. In order to lower your cholesterol levels and your risk of arteriosclerosis, blockage of the coronary arteries, heart attack and stroke, you should drink adequate water. Drinking eight glasses of water a day combined with walking or other gentle exercise will lower these risks considerably. Water retention often shows as a swollen belly, feet, legs and hands. Often this is treated with diuretics. However, if the patient is not drinking enough water, the problem will not go away. Although it appears contradictory if you have a tendency to water retention, this indicates dehydration and you need to drink more water. This is because the body stores water when it is in short supply and will cease doing so if adequately hydrated. Therefore drinking enough water every day is the best treatment for fluid retention. Occasionally the problem might be caused by too much salt or sodium intolerance. Drinking plenty of water can flush excess salt from your system but you also need to reduce your salt intake. Water generates electrical and magnetic energy in every body cell, providing a natural power boost. People with low energy often drink caffeine in order o boost their energy levels. This is often by drinking coffee or soft drinks, which give a quick, pick me up but ultimately decrease energy levels further by provoking dehydration as caffeine has a diuretic effect on the body. Drinking enough water will boost your energy levels and reduce fatigue. A common approach is drinking at least eight glasses of water a day. Headache is often a symptom of dehydration and therefore drinking enough water will help eliminate headaches and should be the first thing tat doctors recommend when a patient complains of frequent headaches. Drinking enough water is a natural remedy that has no side effects and eliminates the problem of headache without using artificial means. Dr. Sang Whang, the author of the Reverse Aging, says the aging process is basically the accumulation of acidic waste in the body. The burning of nutrients in the body produces acidic waste that needs to be eliminated through urination and perspiration. When we do not drink enough water we cannot get rid of this waste matter and it accumulates in the body, causing all kinds of degenerative diseases. Dehydration can mean that your metabolism slows down and this will make it almost impossible to lose weight. Therefore, anyone on a diet should drink at least eight glasses of water a day. The body finds it difficult to differentiate between hunger and thirst and you may mistake the signals it is giving when dehydrated and consequentially eat more than you need. Research has shown that drinking one to two glasses on rising and before meals can help raise your metabolism, feel less hungry, consume fewer calories and ultimately lose weight. Eating water based foodstuffs like soups, vegetables and low calorie milk and other dairy products can also help you reduce calories without reducing portions. Drinking adequate water is more important for people who are obese, as they need more water to metabolize their excess fat. Diabetics are not able to process sugar that is eliminated through urine drawing water from the body. This can cause dehydration that can lead to serious health problems for diabetics. Drinking enough water is therefore even more important for someone suffering from diabetes. The discs in your spine and the cartilage in your joints act as cushions to support the weight of your body and need adequate water if they are to function properly. Dehydration can cause serious damage to your joints and spine, but pain caused by herniated discs and thinning cartilage can be eased if you drink adequately. Proper hydration helps keep your joints and muscles lubricated, so you’ll less likely get cramps and sprains. The formation of strong bones also needs adequate hydration and there is some evidence the dehydration is responsible for the loss of calcium in bones that accompanies aging is many people. Dehydration means that toxins build up in the body and the build up of toxins in the cells can cause these to behave erratically, and to multiply out of control. It is thought that drinking enough can help to prevent and treat leukemia and other cancers as water normalize the bodies systems. 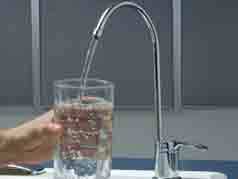 It is also believed that drinking enough water may reduce the risks of bladder and colon cancer. Water is necessary if the body’s heat regulatory system. The body releases sweat to cool and regulate body temperature. When you are not drinking adequate water, reserves in the skin dry up and skin become flaky and dry. Adequate water is necessary to prevent wrinkles, give the skin a healthy color and prevent dry skin problems and help the skin to repair itself when damaged. The ultimate stage of skin dehydration is called scleroderma – in its early stages increasing water intake can reverse scleroderma. The cornea is made 80 percent of water and drinking adequate water is therefore necessary to maintain good eye health. Professions that require using the eyes for hours on end can cause problems such as dry eyes. Taking regular breaks and regularly focusing on something in the distance when doing close work such as proof reading or working on the computer can help to relax the eyes. Blinking can also facilitate moisture from the tear glands to hydrate and lubricate the eye. Dehydration can cause damage in the blood vessels in the brain, leading to bleedings and plaques, which are at the base of most neurological disorders like multiple sclerosis, Parkinson's disease and Alzheimer’s disease. Drinking enough water therefore can help prevent neurological disorders as we age. Hydration helps the body naturally replenish its supply of the neurotransmitter serotonin and therefore helps prevent depression. Patients with severe dehydration often exhibit other mental health issues such as confusion, memory loss and hallucinations. Dehydration inhibits the production of melatonin, nature's sleep regulator, leading to sleep problems and often adding to the problems of depression. Drinking enough water raises your metabolism because it helps in digestion. Fiber and water go hand in hand to favor a daily bowel movement. Drinking plenty of water helps fight against flu and other ailments like kidney stones and heart attack. Water adds with lemon is used for ailments like respiratory disease, intestinal problems, rheumatism and arthritis etc. In other words, one of the benefits of drinking enough water is an improved immune system. Drink adequate water and you will feel better and this will make you in an excellent mood.